I hope you’ve been enjoying the sunshine this week! Apologies for the picture heavy post, but we’ve been in party mode over the last week, and we’ve had so much fun! 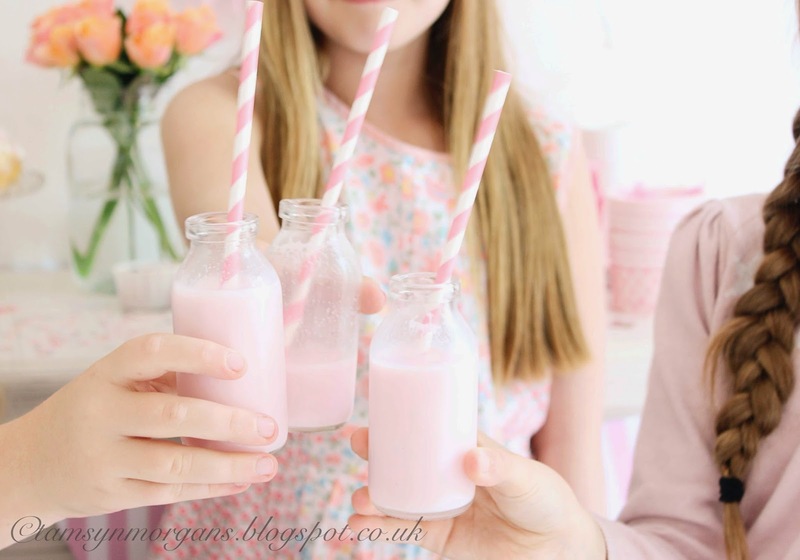 I held a little vintage style tea party for my daughter and a few of her friends last Saturday. (Here’s my party post from last year here). 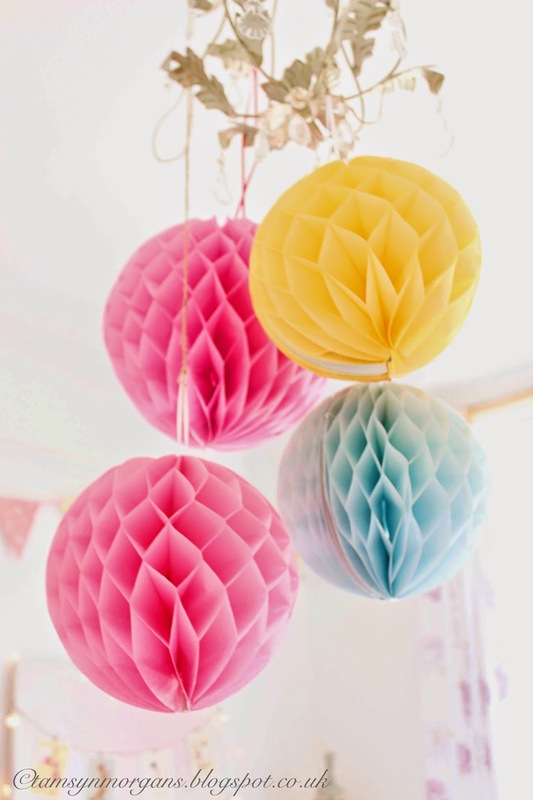 As you know, I do love to go all out when it comes to decorations, so I had great fun decking the craft room out with paper baubles and bunting – even the summer house got decorated with tissue paper pom poms! The very lovely Stacy at Style My Party gave me some gorgeous party supplies to play around with too, including the gorgeous pink and white striped bunting, straws and little sweetie bags, which I filled with candy bracelets, and the beautiful star table confetti. I normally try to do some baking for the children’s birthday parties, but alas, time was not on my side this year. 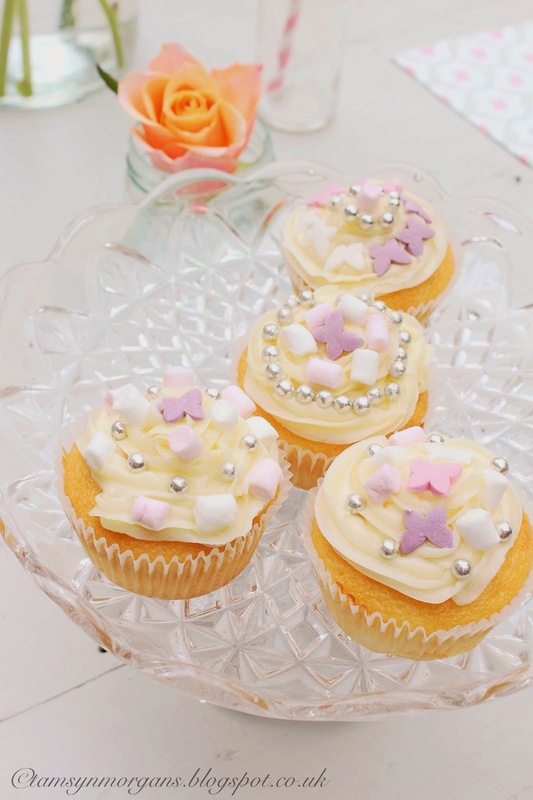 So, I armed myself with a value pack of Morrisons cupcakes, a can of Dr Oetker’s buttercream icing and some pretty sprinkles, and got the children to decorate the cupcakes for me. Pink milk in mini bottles went down a storm, and I went to Aldi in the morning and came back with an armful of their £2 roses – absolutely beautiful, peachy coloured blooms which still look gorgeous four days on. 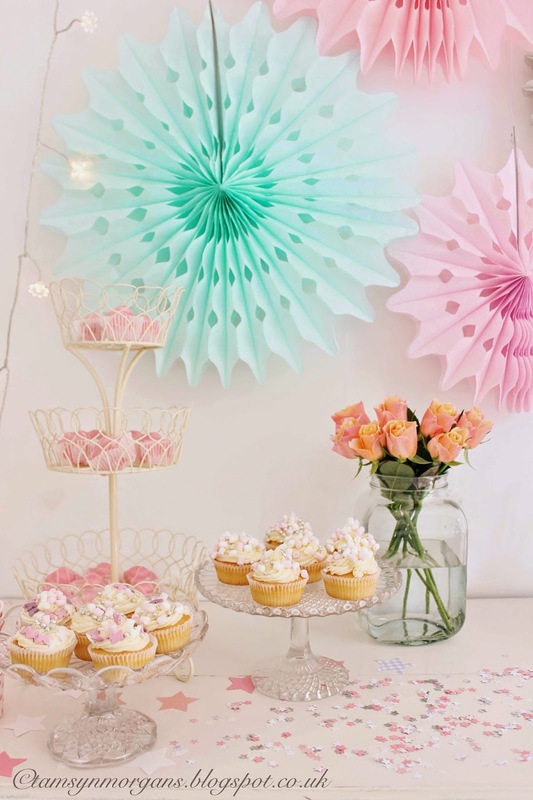 I have lots more party and birthday photographs I’d love to share, but I don’t want to bombard you, so I’ll stagger my posts over the next couple of weeks so as not to overdo the pastel and pretty! 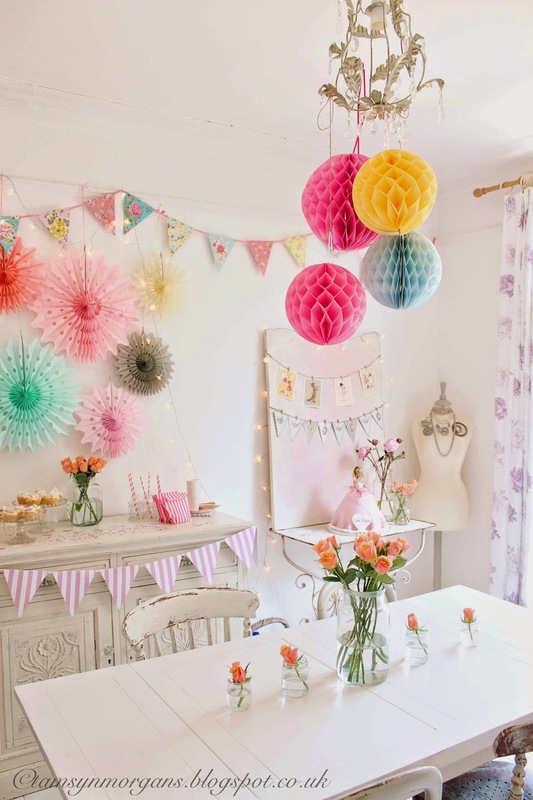 How lovely – a vintage tea party sounds like the perfect way to celebrate your 9th birthday! It all looks so pretty, Tamsyn. 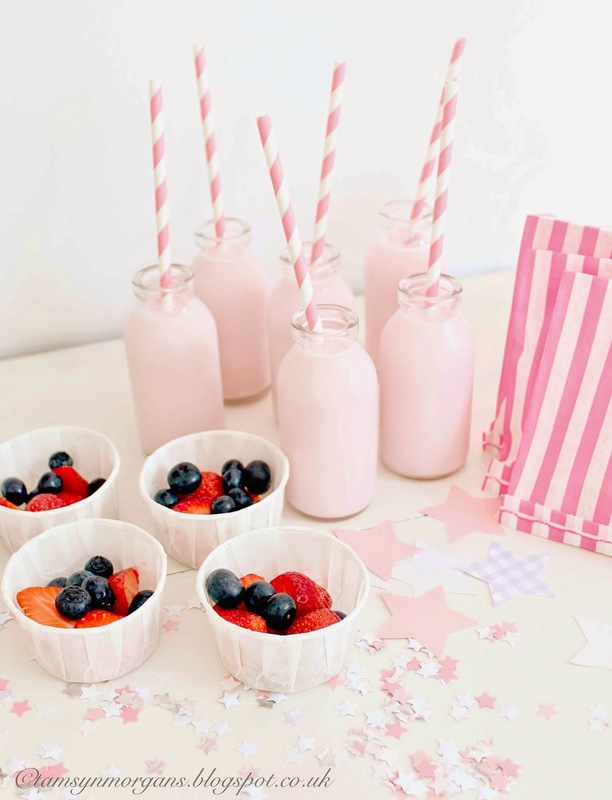 You can never have too much pastel and pretty! I hope your little lady had a lovely birthday. 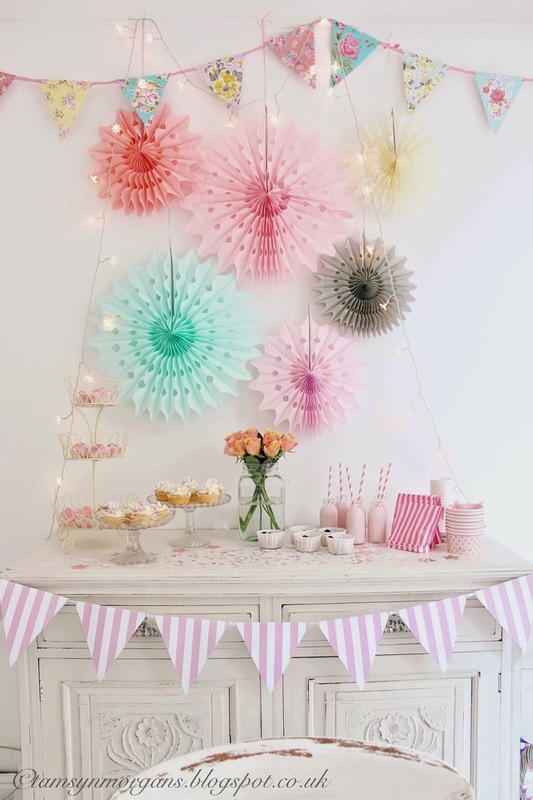 This is the kind of party I would have died for as a girl, that said, I'm contemplating a tea party for my birthday this year and I expect there will be bunting! Those roses are so beautiful, flowers are something I always forget about but I love it when I do have flowers in the house.